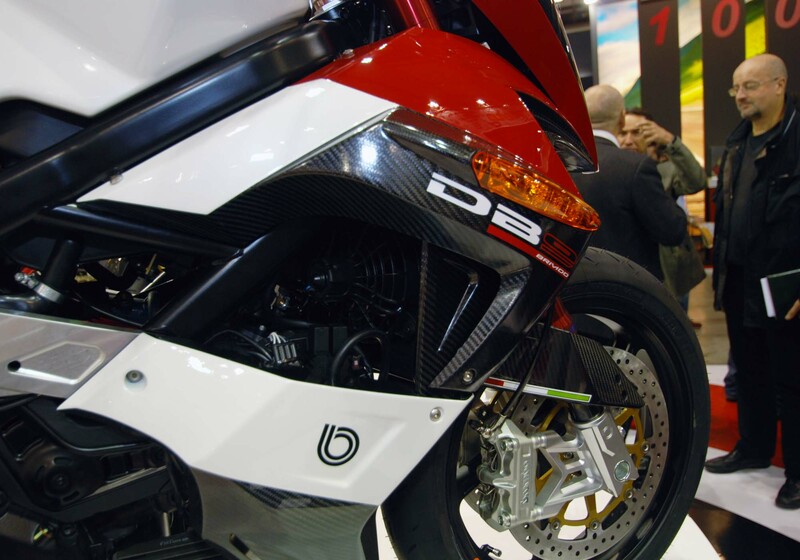 Astute readers this week would have noticed our coverage of the Bimota DB10 Bimotard, and wondered how the boutique Italian firm jumped from the DB8 to the DB10 designation. 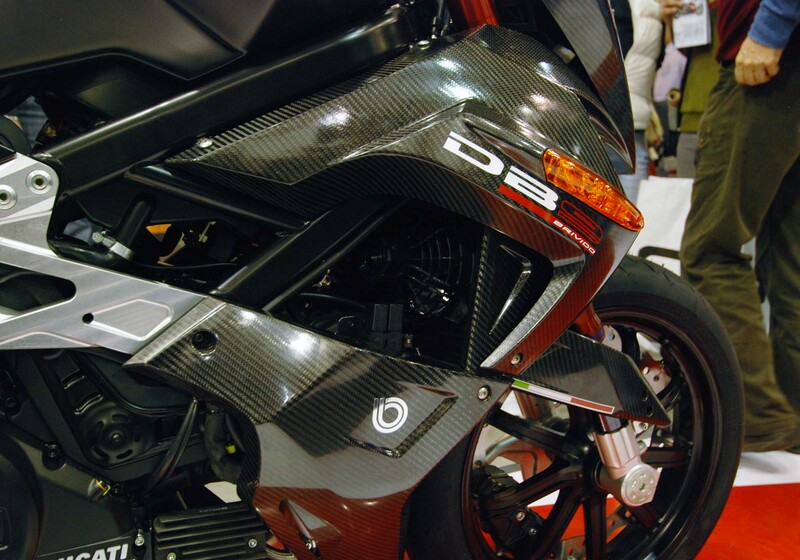 Well yes Virginia, there is a DB9. 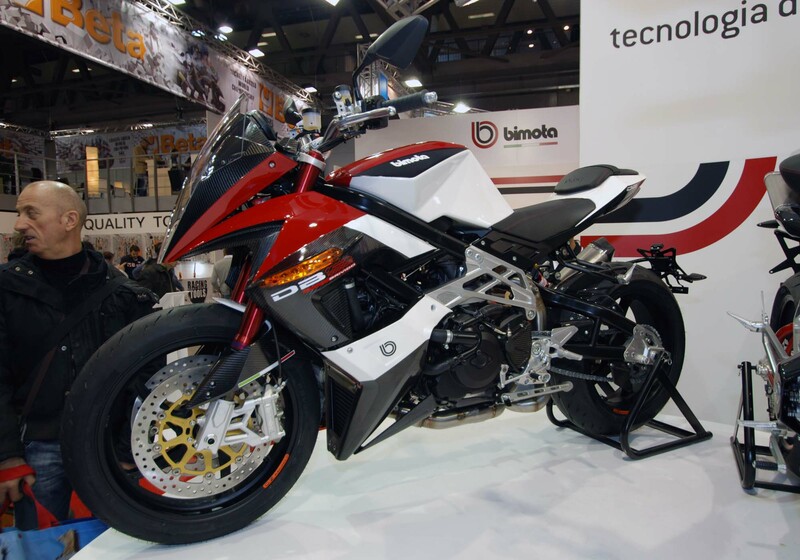 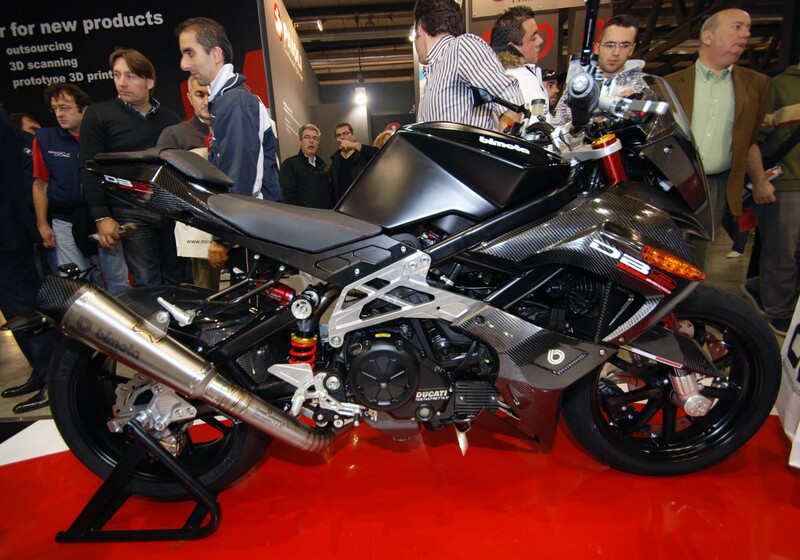 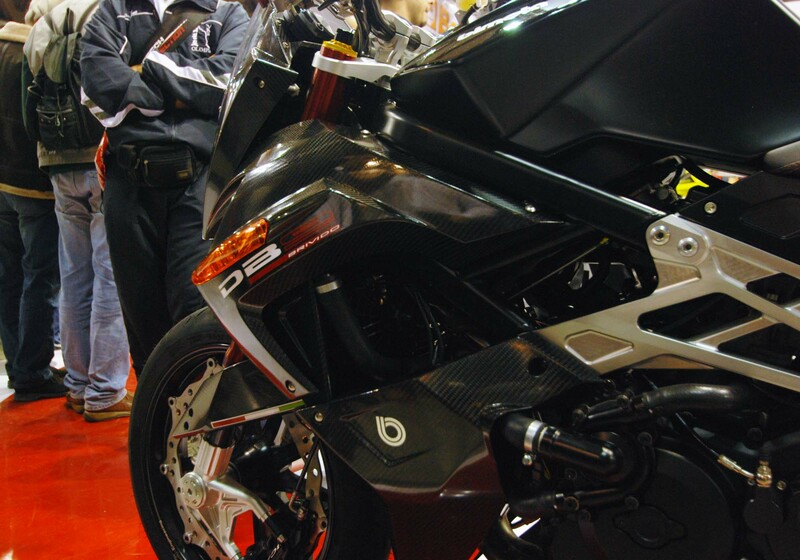 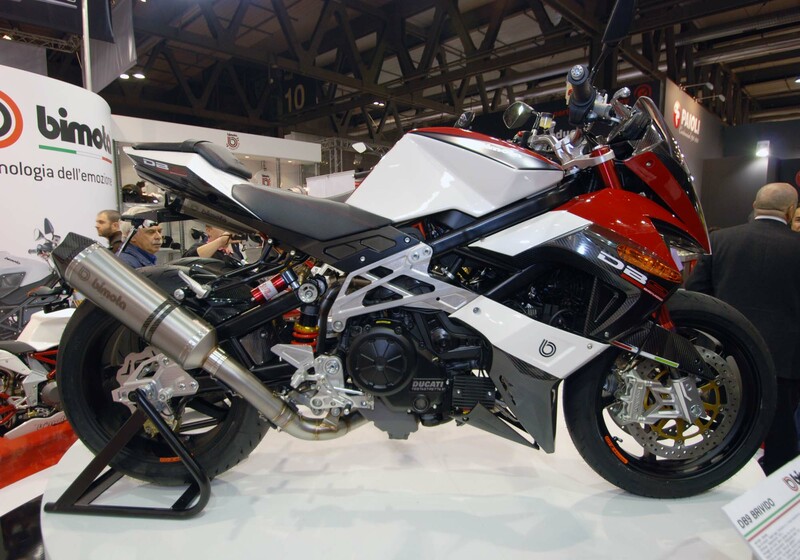 The Bimota DB9 Brivido arrived to the 2011 EICMA show with slightly less fanfare, but its still a classic example of the motorcycle company’s current design and ethos. 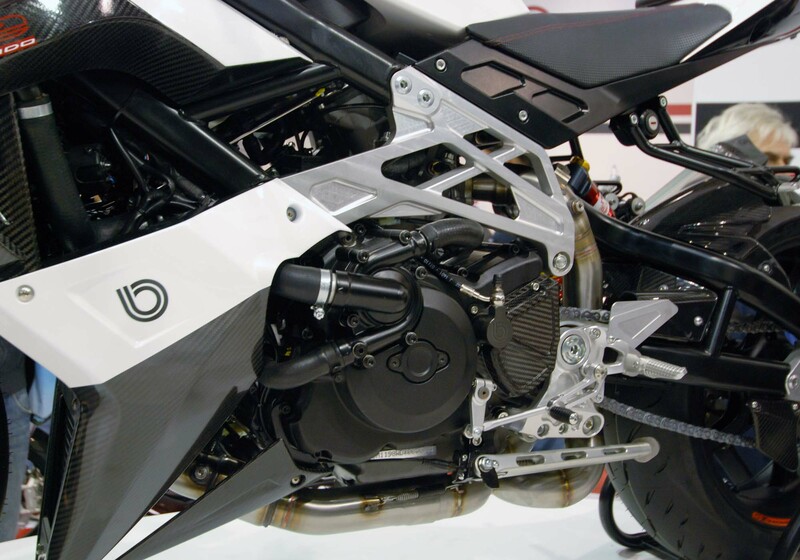 Based around the 162hp Testastretta 11° motor from the Ducati Diavel, the DB9 Brivido continues the aesthetics that began with the Ducati Superbike 1198-powered DB8, and works in the more streetable maintenance-friendly Diavel motor. 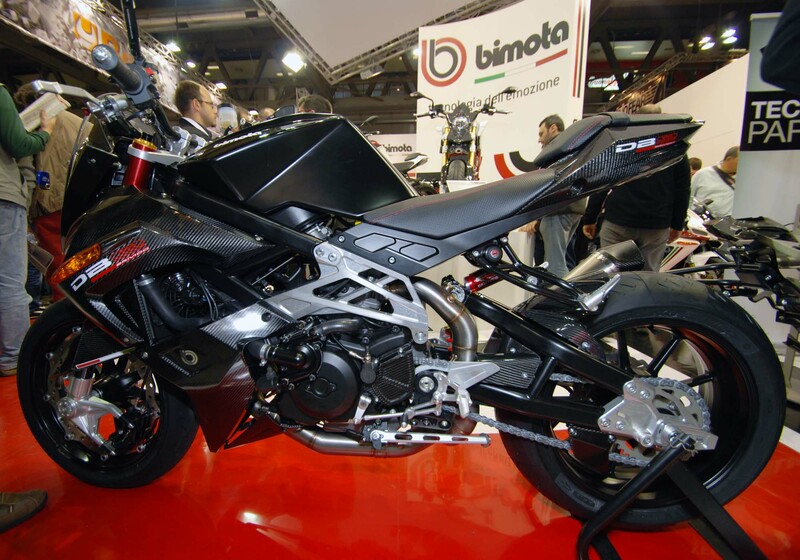 Like every Bimota, the real masterpiece is the chassis that the Italian company builds around the production motors of other companies. 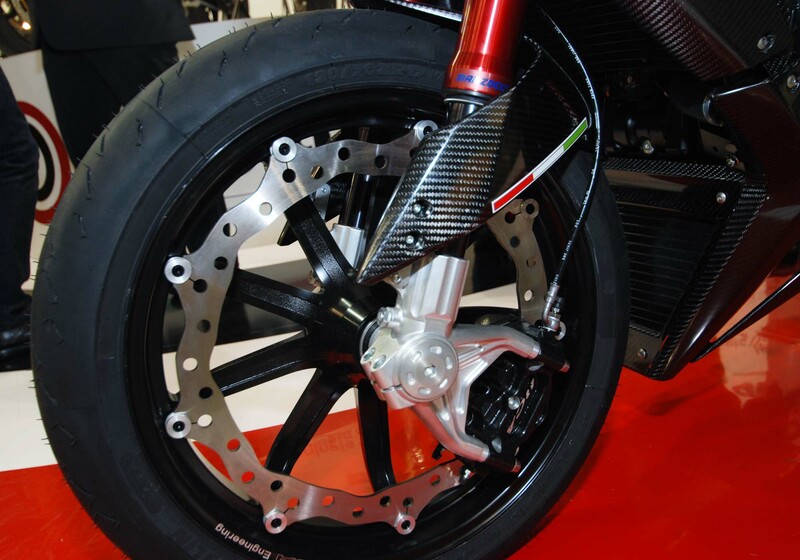 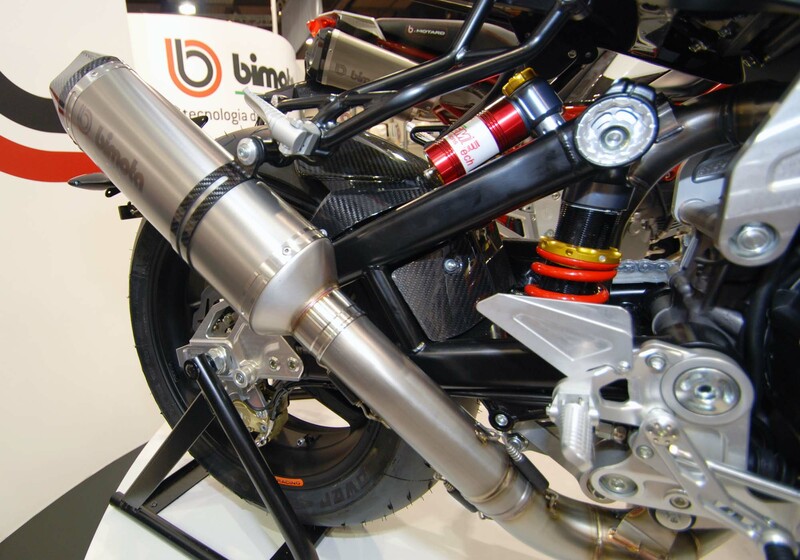 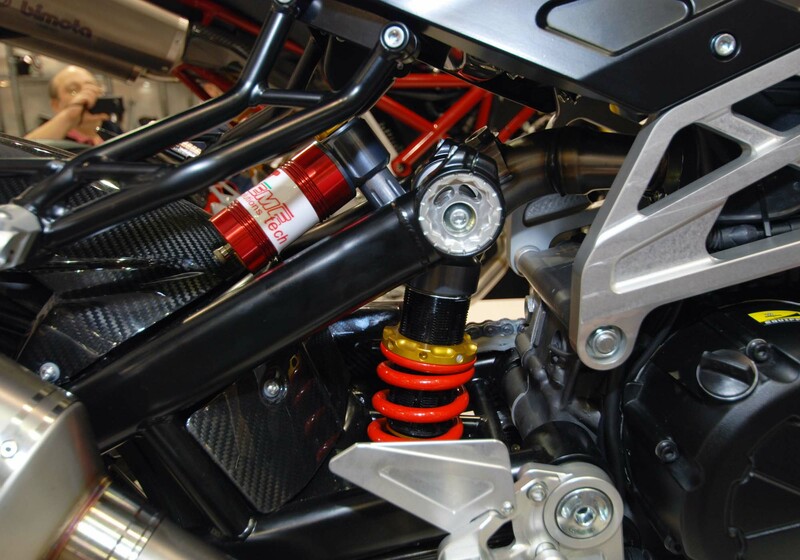 In the case of the Bimota DB9 Brivido, the frame is made from both aluminum and a chromoly alloy, while the forks are 43mm Marzocchi units with the rear shock being from Extreme Tech. 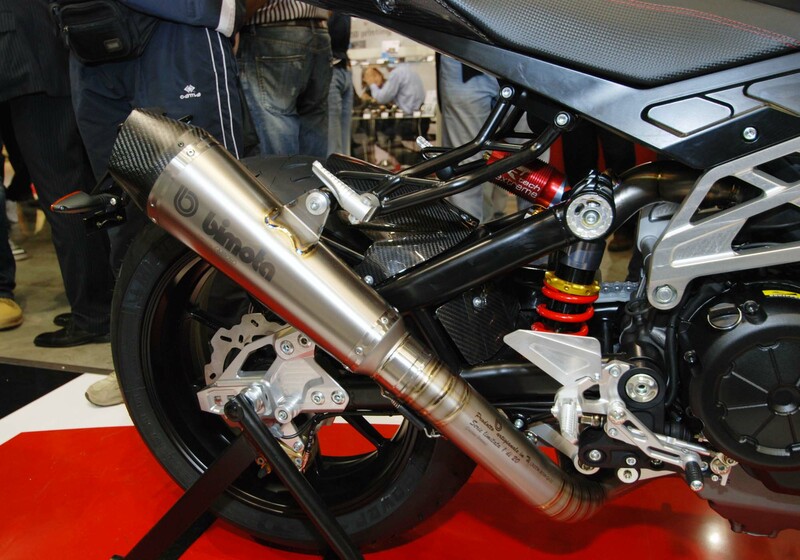 Brakes are of course Brembos, while the race exhaust is by Arrow. 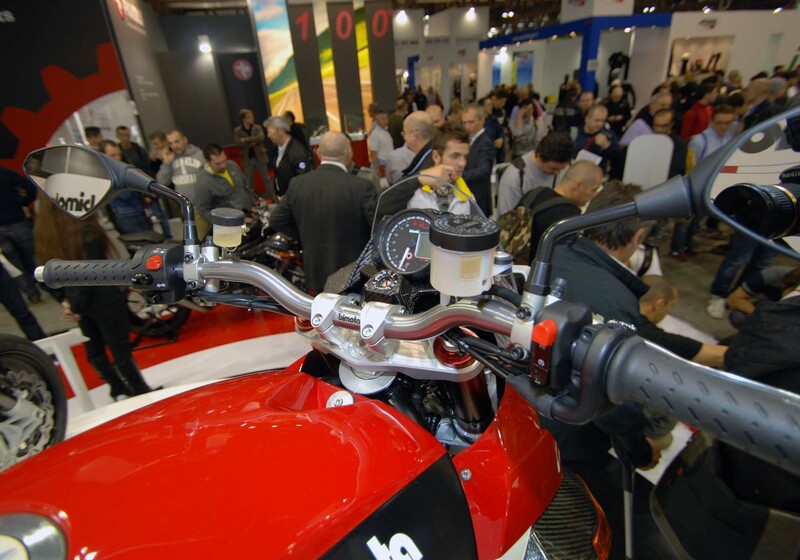 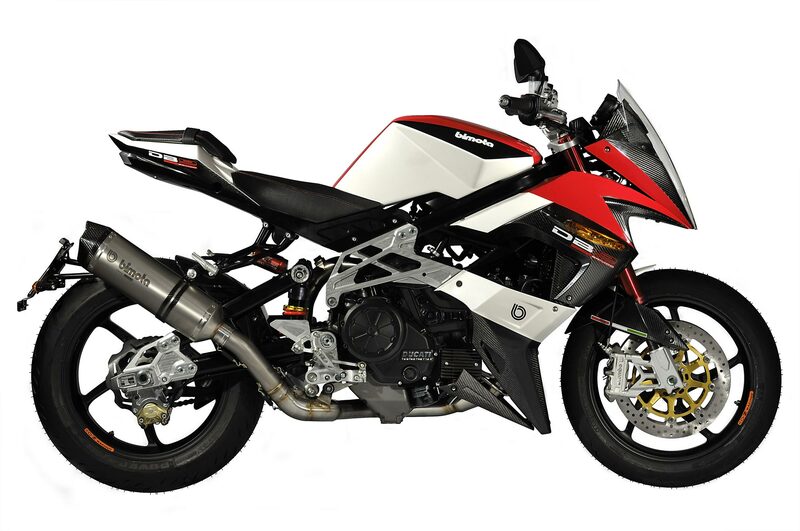 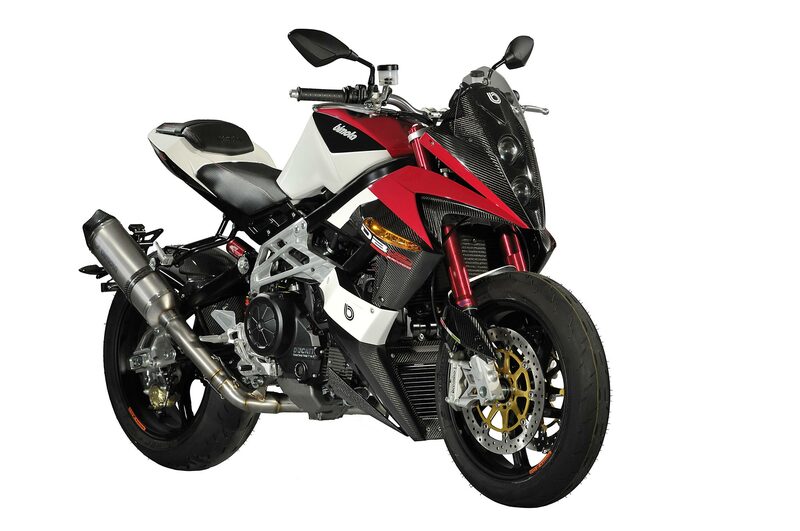 Bimota quotes the dry weight of the Bimota DB9 Brivido as 177kg (390 lbs), though true to the Italian company’s form, that weight can get further reduced with other premium options. 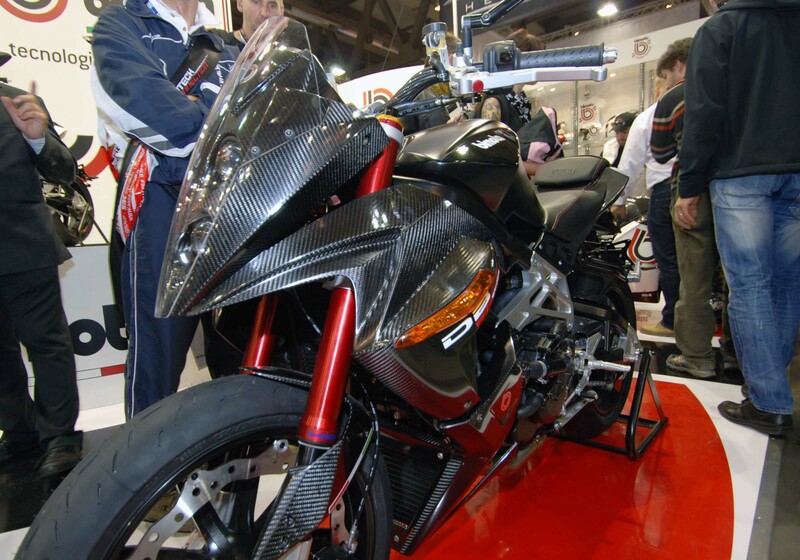 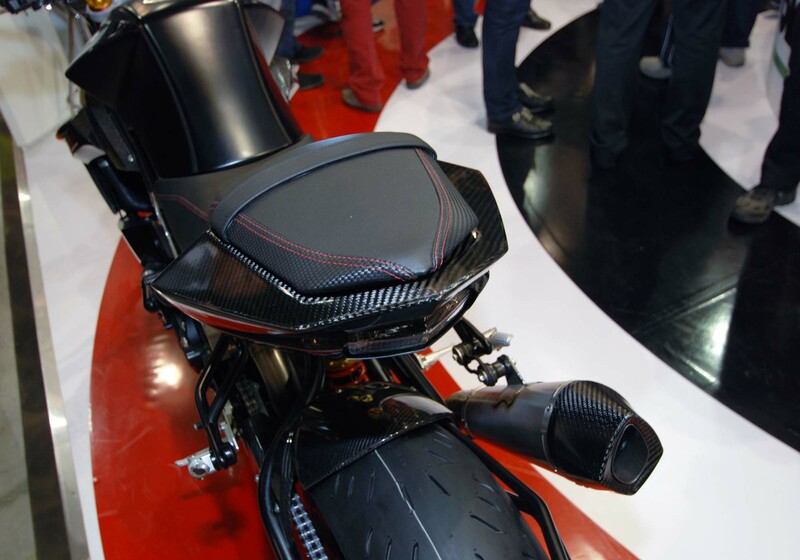 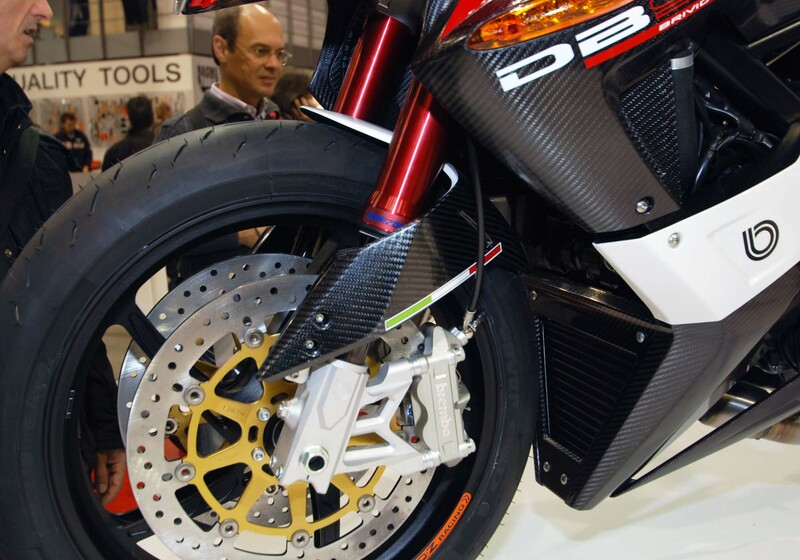 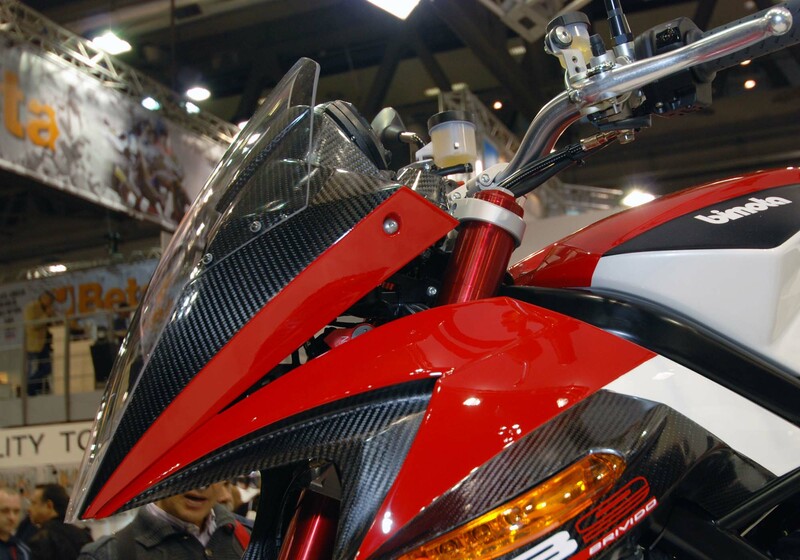 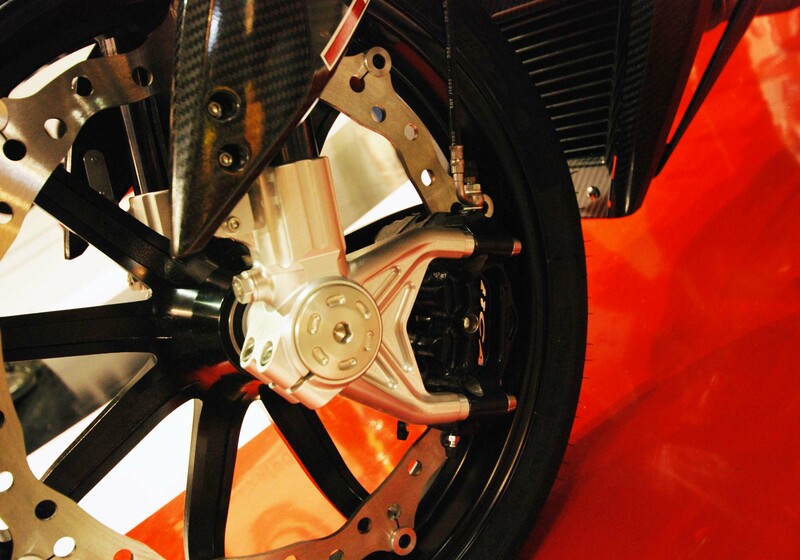 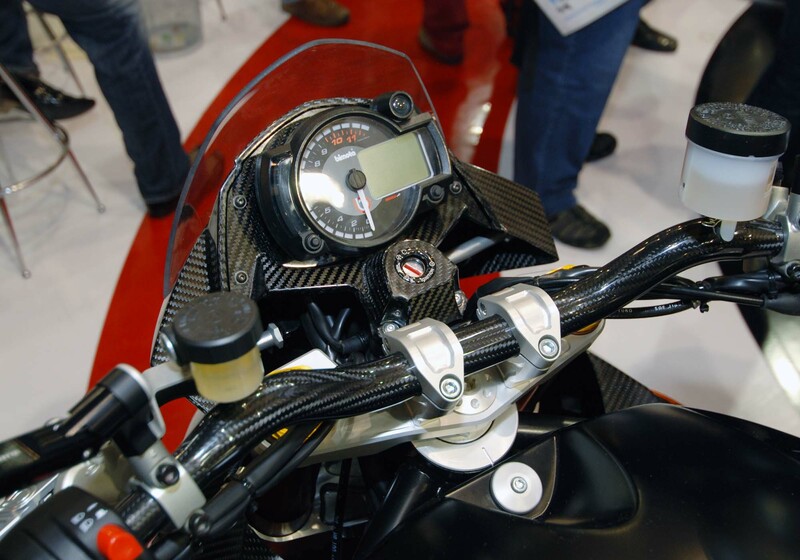 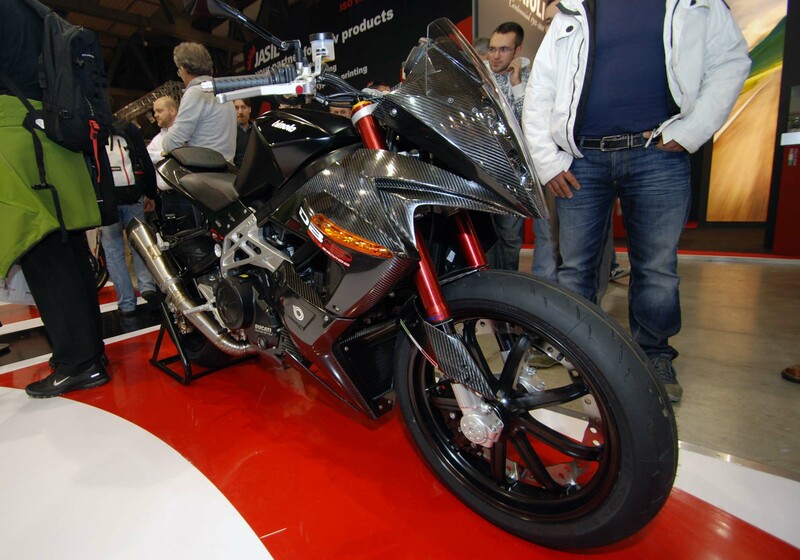 On display in Milan were two Brividos, the base model and one kitted in unpainted carbon fiber. 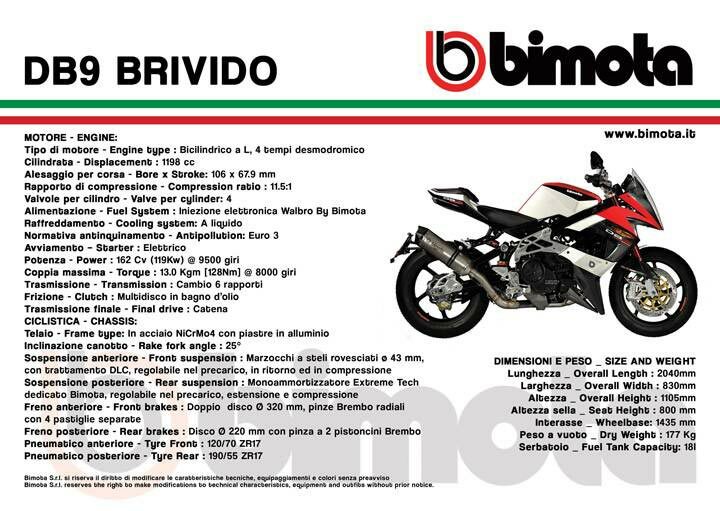 Complete with a single perimeter braking disc, the tricked out Bimota DB9 Brivido will surely turn some heads at a bike night. 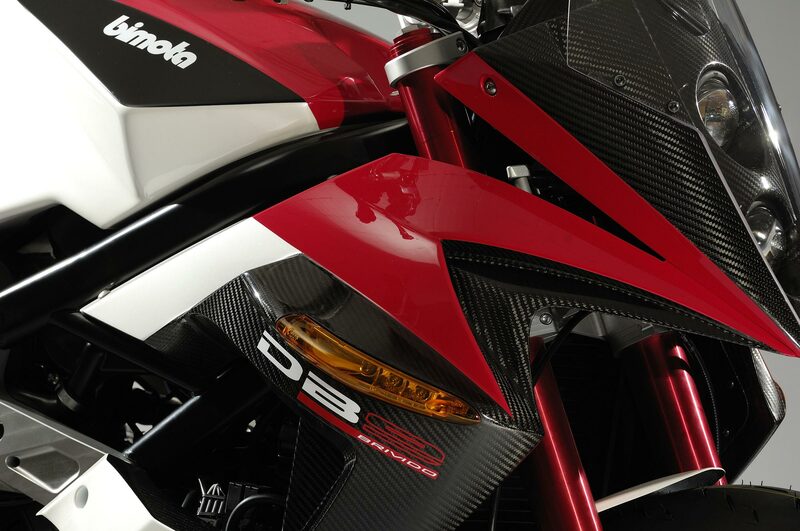 Our pictures don’t really do either DB9 justice, as both bikes have an amazing fit and finish, and the carbon-clad Brivido is sinister with its high-tech murdered look. 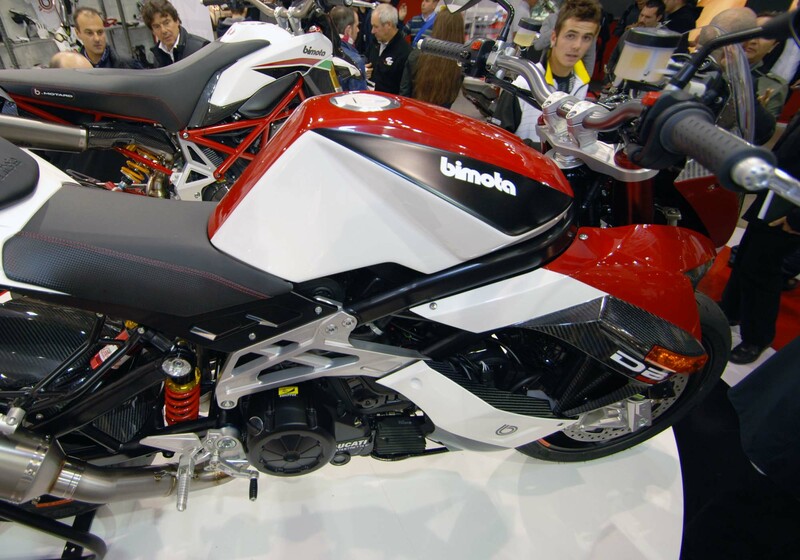 Our only real complaint is the general direction Bimota has been going with its fairing design stretching all the way back to the DB5. 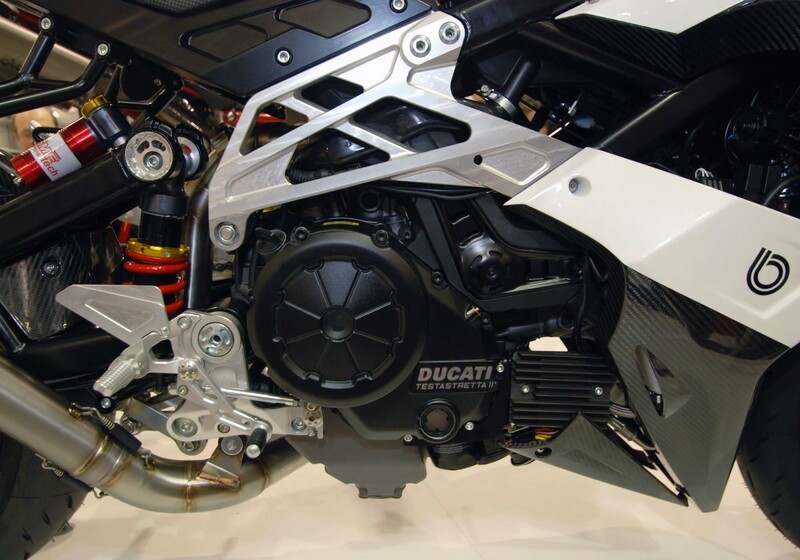 While the DB9 is still a looker, we’re craving something that sets the Ducati-powered model apart from each other.